The unmatched natural beauty is complimented by lively arts and culture and acclaimed food & wine, making Humboldt County the perfect rural retreat. About 200 miles north of San Francisco on Hwy 101, the Redwood Coast boasts the world's tallest trees, the premier national and state redwood parks, six wild and scenic rivers, Victorian towns and seaports, and the original triathlon of the art world. We are pleased to suggest the following story ideas. 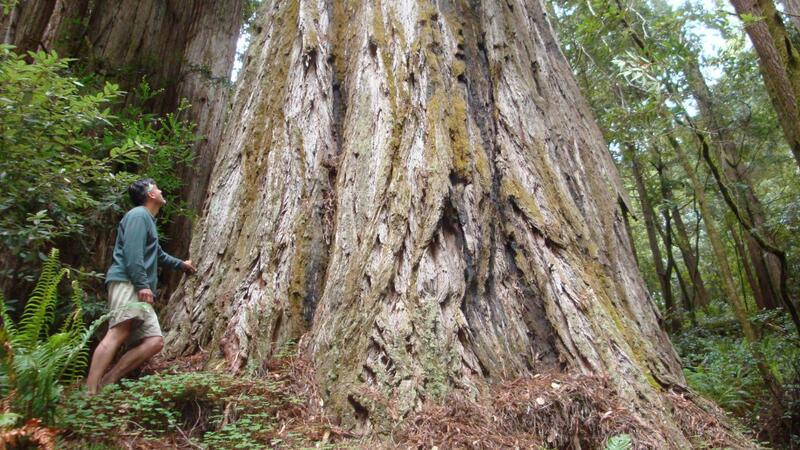 A 379-foot coastal redwood in Redwood National Park is the world&apos;s tallest tree. Although it&apos;s too remote for most visitors, adventurers can explore its impressive neighbors. 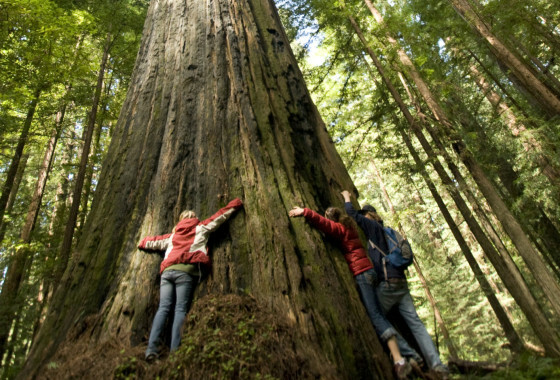 Having the best growing condition for redwoods anywhere, Humboldt County boasts most of the top twenty tallest trees. 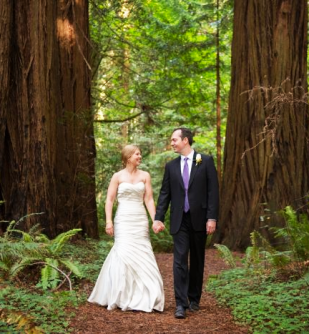 It has a string of state and county parks with groves just as impressive as those in the national park, and includes the Avenue of the Giants, a 30-mile drive through the largest intact old growth redwood forest. No place lays great claim to the legendary man-beast than Willow Creek, the town where the term Bigfoot was first coined in 1958 and where the famous 1967 footage of the Patterson-Gimlin Bigfoot was filmed in 1967. The region remains a hotbed of sightings. Visitors often stop in Willow Creek to tour the Bigfoot museum, which has the largest collection of Bigfoot curios. Serious or no, travelers looking for the hairy creature can partake in more reliable Bigfoot experiences. Whitewater raft on the Trinity River with Bigfoot Rafting Company, uncork a bottle of Bigfoot Red at Bigfoot Restraurant, drive on the Bigfoot Highway into the scenic Hoopa Reservation, rest at the Bigfoot Hotel, tee off at the Bigfoot Golf Course, and visit during Labor Day weekend for Bigfoot Days, the largest annual celebration of the legendary man-beast. The longest undeveloped coastline in the continental United States, the Lost Coast is a protected federal and state wilderness area, primarily in the King Range Conservation Area. This rugged mountain terrain has a secret surfing nirvana, coastal backpacking trails, a black sands beach, remote lighthouse hikes and almost 100 miles of pristine beachfront. While there are virtually no signs of civilization, one can find nice creature comforts in the town Shelter Cove. Humboldt County is known for its redwoods. So how come some of them are white? Of the several dozen known albino redwoods in existence, six are in Humboldt Redwoods State Park. The forest ghosts, which hide in the darkest parts of old growth forests, often leave visitors astounded. Their snow-white needles, which lack any pigmentation, sometimes seem to glow against the backdrop of their shady environments. When director Steven Spielberg was scouting Humboldt County locations for The Lost World: Jurassic Park II, he just had to include phenomenal Fern Canyon in Prairie Creek Redwoods State Park. Over the millennia, a creek has cut a 50-foot deep channel in the forest floor as it meanders toward the sea. The walls of the canyon are literally draped with a solid sheet of greenery…dripping mosses and luxuriant ferns of many types. It’s one of the most beautiful places on the face of the planet. In 2001 director Frank Darabont found the ideal circa 1950 American Main Street on which to film The Majestic (with Jim Carrey) in Ferndale, California. Known as the perfectly preserved Victorian Village, the whole town is on the National Historic Register. But prim and proper Ferndale has a wild side. Just visit the Kinetic Sculpture Race Museum, the iconic home of the Great Arcata to Ferndale Kinetic Sculpture Race, an annual collective lapse of judgment over Memorial Day weekend that for over three decades has pitted bizarre human-powered vehicles against streets, sand, mud and water—and one another. Cheating is encouraged, and it’s all for the glory! Climb aboard the Madaket, the oldest continually operating passenger vessel in the country, for a fascinating tour of Humboldt Bay wildlife and history. Built right here in 1910, the Madaket was originally designed for ferrying millworkers to and from work on the Samoa peninsula. Now, refitted and flags bravely flying, she chugs about the bay to help celebrate Eureka’s rich maritime heritage (the boat is operated by the Humboldt Bay Maritime Museum). In case beautiful scenery isn’t enough to help you relax, the Madaket has on board the smallest licensed bar in California. Want to know why culture guru John Villani picked Eureka as one of the best small arts towns in America? One reason is the Arts Alive! arts walk, which keeps Old Town up well into the evening on the first Saturday each month. Tourists and residents graze and sip their way along the Victorian seaport’s waterfront, where historic galleries and businesses showcase the inspiration of highbrow and lowbrow artists alike. The nexus of Arts Alive is the corner of F and 2nd streets, where one can expect to see the faithful accordionist on the corner, a regular rotation of hip rock bands in the alleyways, and sometimes fire dancers spiraling around the Gazebo. Later into the evening, at the west end of Old Town, more Bohemian crowds sample cutting edge visual and performance art in cramped studios and converted seafood warehouses. The Humboldt Dunes is one of the best protected coastal ecosystems on the Pacific. In particular, the Mta-le&apos;l Dunes feature rare plants and animals, a memorable skeleton forest, and exceptional views of the ocean, bay and mountains. Opened to the public in 2012 after local naturalists worked to safeguard endangered species, the Bureau of Land Management now permits access to hikers. Besides sporting a new eco-visitor center, complete with a living roof, built into a dune hill, this 1,000-acre area near Eureka, Calif., has the mother of all dunes, a one million cubic yard expanse with excellent views of the ocean, Humboldt Bay and the coastal mountains. If your dog has a certain affinity for trees - and what dog doesn&apos;t? - they&apos;ll certainly enjoy a fragrant stroll among the tallest in the world. Humboldt County has some of the few places where you can let your dog scamper among redwoods. And while other regions boast of having a single off-leash dog beach, Humboldt has six of them - one of which awaits at the end of a scenic 5-mile coastal trail.